Maryann Corbett earned a doctorate in English from the University of Minnesota and expected to be teaching Beowulf and Chaucer. Instead, she spent almost thirty-five years working for the Minnesota Legislature. Since coming back to poetry a dozen years ago, she has published four books of poems. Her third book, Mid Evil, won the Richard Wilbur Book Award for 2014. She’s also a past winner of the Willis Barnstone Translation Prize and a past finalist for the Howard Nemerov Sonnet Award, the Able Muse Book Prize, the Morton Marr Prize, and Best of the Net. 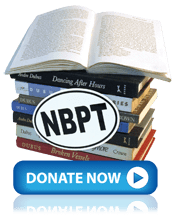 Her poems, translations, and essays appear in a wide variety of journals and have been featured at Poetry Daily, Verse Daily, American Life in Poetry, The Poetry Foundation, and The Writer’s Almanac. One of her poems is included in The Best American Poetry 2018. David Davis has been a member of the Powow River Poets since 2005. He is an artificial intelligence researcher and high-tech entrepreneur with a long-term interest in writing. A story of his in Isaac Asimov’s Science Fiction Magazine, anthologized and translated into multiple languages, was listed as one of the top 20 science fiction short stories of its year. Davis has edited or written five books in his area of technical expertise, and has published three books of poetry. Rhina P. Espaillat has published ten full-length books and three chapbooks, comprising poetry, essays and short stories, in both English and her native Spanish, and prize-winning translations from and into Spanish. Her work appears in numerous journals, websites and anthologies, and has earned national and international awards. Her most recent publications are two poetry collections in English titled Playing at Stillness and Her Place in These Designs, as well as a book of Spanish translations titled Oscura fruta/Dark Berries: Forty-two Poems by Richard Wilbur, and a book of Spanish translations titled Algo hay que no es amigo de los muros/Something There Is that Doesn’t Love a Wall: Forty Poems by Robert Frost, both available from Amazon.com. Nausheen Eusuf is a PhD candidate in English at Boston University, and a graduate of the Writing Seminars at Johns Hopkins. Her poetry has appeared in The American Scholar, Poetry Daily, PN Review, Salmagundi, World Literature Today, and Best American Poetry 2018. Her first full-length collection Not Elegy, But Eros was published by NYQ Books (US) and Bengal Lights Books (Bangladesh). Website: www.nausheeneusuf.com. David Ferry is an acclaimed American poet and translator. Ferry’s translations, which include some of the world’s major works of poetry including The Odes of Horace, and both The Eclogues and Georgics of Virgil, are known for their fluency and grace. In addition to his lauded translations, Ferry is also a prize-winning poet in his own right. His poetic works include Dwelling Places (1993) and Of No Country I Know: New and Selected Poems and Translations (1999), which won the Lenore Marshall Prize, the Bingham Poetry Prize, the Rebekah Johnson Bobbitt National Prize for Poetry from the Library of Congress, and was a finalist for the L.L. Winship/PEN New England Award and the New Yorker Book Award. Bewilderment: New Poems and Translations (2012), won the National Book Award for Poetry. Daniel Hall is the author of three volumes of poetry, most recently Under Sleep. He spent a year in Asia as an Amy Lowell Traveling Scholar, and has received grants from the Whiting and Guggenheim Foundations. He taught Creative Writing at Amherst College for almost twenty years. Major Jackson is the author of four books of poetry, including Roll Deep (2015), Holding Company (2010), Hoops (2006) and Leaving Saturn (2002), which won the Cave Canem Poetry Prize for a first book of poems. He is the editor of Library of America’s Countee Cullen: Collected Poems. A recipient of fellowships from the Fine Arts Work Center in Provincetown, Guggenheim Foundation, National Endowment for the Arts, and the Radcliffe Institute for Advanced Study at Harvard University, Ma-jor Jackson has been awarded a Pushcart Prize, a Whiting Writers’ Award, and has been honored by the Pew Fellowship in the Arts and the Witter Bynner Foundation in conjunction with the Library of Congress. He has published poems and essays in American Poetry Review, Callaloo, The New Yorker, The New York Times Book Review, Paris Review, Ploughshares, Poetry, Tin House, and included in multiple volumes of Best American Poetry. Major Jackson lives in South Burlington, Vermont, where he is the Richard Dennis Green and Gold University Distinguished Professor at the University of Vermont. He serves as the Poetry Editor of The Harvard Review. Sydney Lea, a former Pulitzer finalist, founded and for thirteen years edited New England Review. His twentieth book, and his thirteenth collection of poems, Here, is due from Four Way Books, NYC, this year. Available from Vermont’s Green Writers Press is The Music of What Happens: Lyric and Everyday Life, his collected newspaper columns from his years (2011-15) as Vermont Poet Laureate. In summer of ‘18, Green Writers Press re-issued his collaborative book of essays with former Delaware laureate Fleda Brown, Growing Old in Poetry: Two Poets, Two Lives. A.M. Juster’s work has appeared in Poetry, Hudson Review, Paris Review, Southwest Review and many other journals. He won the Richard Wilbur Award for his first book of original poetry and the Barnstone Translation Prize; he is also a three-time winner of the Howard Nemerov Sonnet Award. His most recent books are: Tibullus’ Elegies (Oxford University Press 2012), Saint Aldhelm’s Riddles (University of Toronto Press 2015) and Sleaze & Slander (Measure Press 2016). In 2016 Kelsay Books published The Billy Collins Experience and in 2018 the University of Pennsylvania Press published The Elegies of Maximianus. He is a graduate of Yale and Harvard with two honorary degrees. Photo credit: Johnson Photography. January Gill O’Neil is the author of Rewilding (2018), Misery Islands (2014), and Underlife (2009), published by CavanKerry Press, She is an assistant professor of English at Salem State University, and a board of trustees member with the Association of Writers and Writing Programs (AWP) and Montserrat College of Art. From 2012-2018, she served as executive director of the Massachusetts Poetry Festival. A Cave Canem fellow, January’s poems and articles have appeared in the Academy of American Poets’ Poem-A-Day series, American Poetry Review, New England Review, and Ploughshares, among others. In 2018, January was awarded a Massachusetts Cultural Council grant, and was named the John and Renée Grisham Writer in Residence for 2019-2020 at the University of Mississippi, Oxford. She lives with her two children in Beverly, Massachusetts. Born and raised in the Philippines, José Edmundo Ocampo Reyes is the author of the chapbook Present Values (Backbone Press, 2018). His poems have appeared in such journals as Michigan Quarterly Review, Pleiades, Hudson Review, Rattle, Crab Orchard Review, and American Literary Review; and have been included in The Powow River Anthology (Ocean Publishing, 2006), Villanelles (Everyman’s Library, 2012), and The Achieve of, the Mastery: Filipino Poetry and Verse from English, mid-90’s to 2016 (University of the Philippines Press, 2018). Mary Jo Salter is the author of eight books of poetry published by Alfred A. Knopf, most recently The Surveyors (2017) and Nothing by Design (2013), as well as a children’s book, The Moon Comes Home (1989). She is an essayist, playwright, and lyri-cist, whose poems and lyrics have been set to music by Fred Hersch and Caroline Shaw. She is also one of three co-editors of The Norton Anthology of Poetry (4th edition, 1996; 5th edition, 2005; 6th edition, 2018). Salter is Krieger-Eisenhower Professor in The Writing Seminars at Johns Hopkins University. Toni Treadway’s new poetry book Late Harvest was published by Kelsay Books in December 2018. The title poem was a runner-up for the 2019 Frost Prize from the Frost Foundation in Lawrence, Mass. Toni organizes the poetry readings at the Newburyport Public Library for the Powow River Poets. Their founder, Rhina Espaillat, invited her to join the group’s workshop in 2004. Toni and Bob Brodsky restore old movie film for archives and Public TV producers. They sing in the Newburyport Choral Society. Anton Yakovlev’s latest chapbook Chronos Dines Alone, winner of the 2018 James Tate Poetry Prize, was published by SurVision Books. He is the author of Ordinary Impalers (Kelsay Books, 2017) and two prior chapbooks. His poems have appeared in The New Yorker, The Hopkins Review, Amarillo Bay, Prelude, Measure, The Stockholm Review of Literature, and elsewhere. The Last Poet of the Village, a book of translations of poetry by Sergei Yesenin, is forthcoming from Sensitive Skin Books. Yakovlev won the 2016 KGB Poetry Annual Open-Mic Contest and was a finalist for the 2016 Howard Nemerov Sonnet Award. He is the current education director at Bowery Poetry Club and a co-host of the Carmine Street Metrics reading series in Manhattan. Born in Moscow, Russia, he is a graduate of Harvard University and has also written and directed several short films.